The Tryzantine Bracelet seems to be a variant of the Byzantine bracelet. 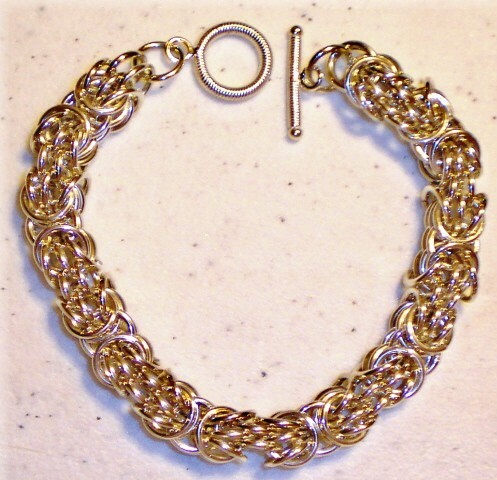 It is an interesting chain mail project to make. It is quite weighty in the 16 gauge size, but more traditional in weight and feel when utilizing 18 gauge rings. This is an intermediate project. The clasp is not included in the kit.